Prior to submitting your application, you will be asked to sign into your account for our site. If you have not done already done so, you can create an account. Accounts are free, and take only a moment to set up. Once signed in, you will complete the application in a web form. 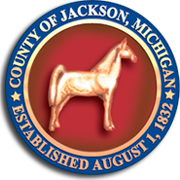 Submitted forms are sent electronically to the Jackson County Administrator/Controllers office. Note: It is advisable for applicants to attend the County Affairs/Agencies Committee meeting. During the meeting, they may address the Committee under Public Comment in regard to the appointment(s) they are seeking. Be available on the dates/times of the meetings of the particular board or commission. Attendance at meetings is encouraged. Board Rule Policy 4090, Section 9.6 applies: Positions of Commissioner appointees may become vacant if three (3) unexcused consecutive or five (5) unexcused absences in a year. The determination of unexcused absences shall be made by the respective committee. A recommendation for removal from office shall be forwarded to the Board of Commissioners. This Section shall not apply to statutory boards which have other procedures for removal of members.